Michael J. Balick, Ph.D., is Vice President for Botanical Science at The New York Botanical Garden and Director and Philecology Curator of the Botanical Garden’s Institute of Economic Botany. For more than 30 years, he has studied the relationship between plants and people, working with traditional cultures in tropical, subtropical, and desert environments around the world. Many scientists who study environmental topics focus on a geographic region, at least for part of their careers. Why? It seems that the longer you work in an area, the more you learn, and the more precise your observations and conclusions can be. And that means that the products of one’s studies, including identifying and establishing conservation areas, can be carried out efficiently. I first went to Belize in 1987 and established a wonderful partnership with naprapathic physicians Drs. Rosita Arvigo and Gregory Shropshire. Together, we carried out a study that included an inventory of the country’s flora, publication of a primary health care manual based on local knowledge, and a general ethnobotany that documents the useful plants of the region. 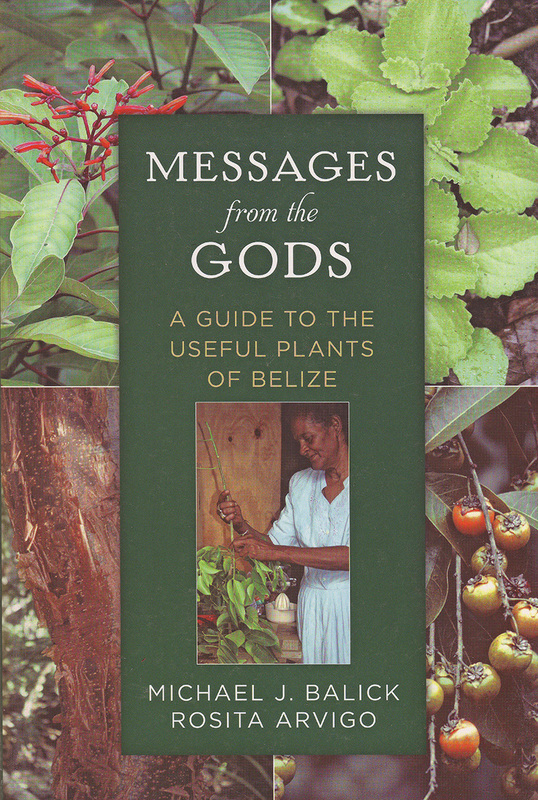 A few months ago we celebrated the publication of the ethnobotany book, Messages from the Gods: A Guide to the Useful Plants of Belize, published by The New York Botanical Garden and Oxford University Press. In addition to publication of three books, the program produced teaching materials for local students, established a conservation area, developed training programs for plant collectors, investigated the pharmacological potential of the flora, enhanced economic livelihoods, strengthened the local ecotourism industry, and trained graduate students, as well as many other contributions over a 27-year-period. Drs. Arvigo and Shropshire continue to reside in Belize and are recognized for their many ongoing contributions to that nation. We hope you will enjoy the results of our explorations, undertaken in collaboration with hundreds of people in Belize—a real community effort! To watch a video of a presentation that Drs. Balick and Arvigo gave at the Botanical Garden about their research in Belize, click above. 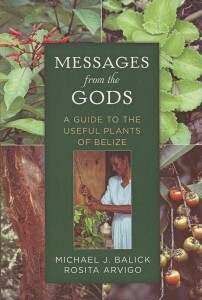 Messages from the Gods: A Guide to the Useful Plants of Belize is available here.